For the operations of the business or any establishment to smoothly flow, the equipment that are used in work processes are essential to be complete, properly maintained, and working at their best conditions. Especially if your business has a wide range of activities within its daily operations, it may be hard and tedious to keep track of all the equipment that are needed by your workforce. Added to these are the backup equipment in your stockroom or storage areas as well as the maintenance dates in which the performance of each equipment are assessed and recorded. An equipment inventory can help you a lot with regards this matter. 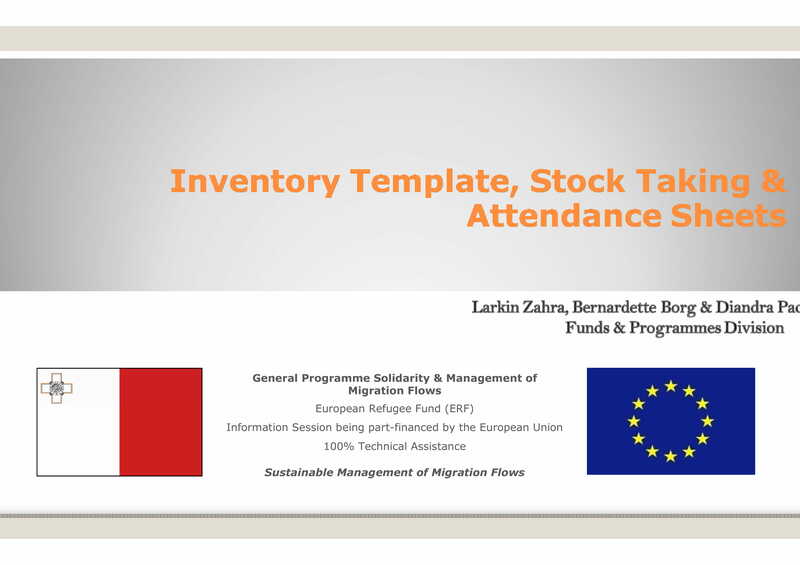 If you do not know how to create an equipment inventory, we recommend you to download any of our examples so you can have an idea on how to develop the document in the best way possible. More so, learn more things about equipment inventory drafting with the help of the discussion within this post. An equipment inventory can aid the business when it comes to maintaining the effectiveness and efficiency of its equipment. Routine maintenance is very essential to ensure that the equipment of the business are not overlooked. May it be a simple cleaning process, an assessment of equipment parts, or lubrication, it is essential for you to have a document that can track the maintenance processes that all equipment have been subjected into. This can lengthen the life of all the equipment as they are properly taken cared of. 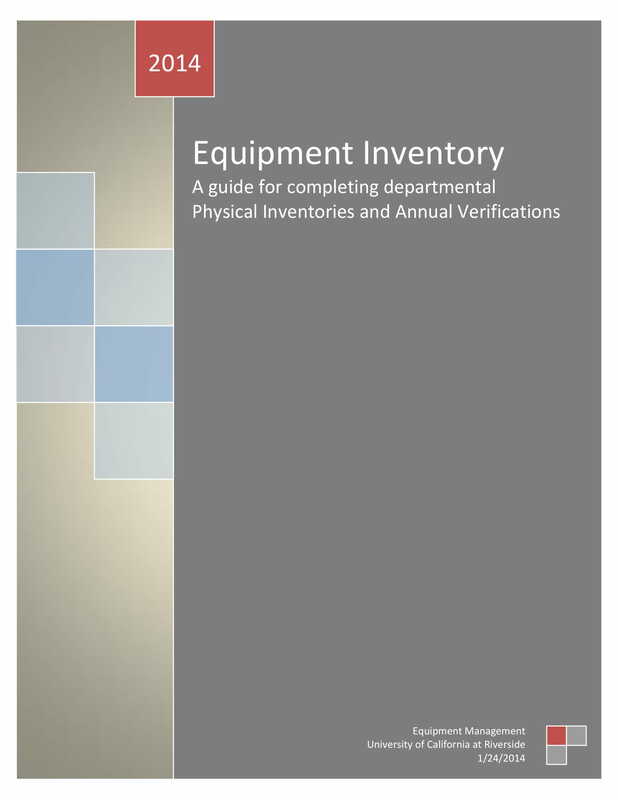 An equipment inventory can contribute to the accuracy of equipment records. 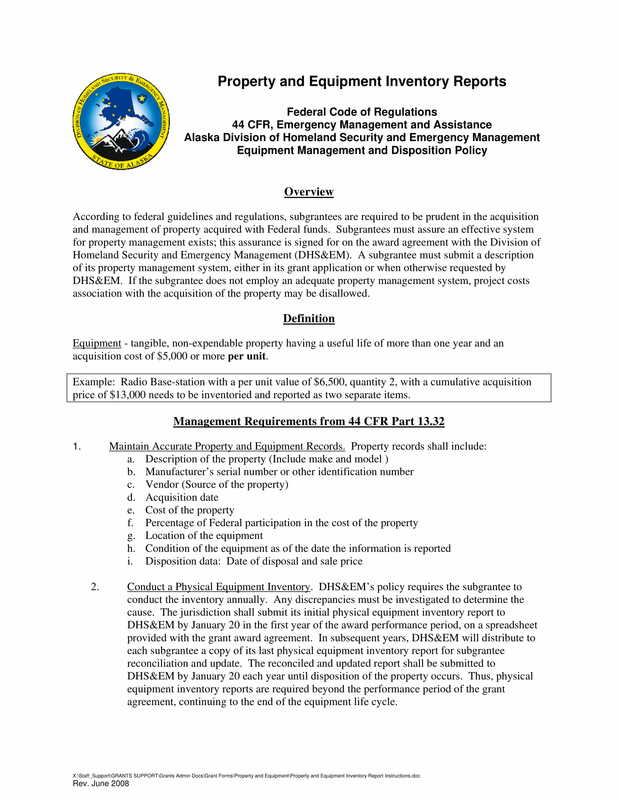 With this document, people who are tasked to look into any equipment can precisely record the current conditions of the equipment and the necessary action plans that are needed to be done for it to be fully functional. Proper recording is very important not only for the equipment that are currently used by the business but also those that are kept in storage areas to ensure that they are prepared whenever needed. An equipment inventory can be used as a channel of communication. Most equipment inventories are passed or given from one point person to another depending on the time of updates that are necessary to be considered in particular transactions. Some entities can write notes of observations and instructions based on the processes that are needed to be done with or for the equipment in the list. However, take note that not all equipment inventories work the same way. Your own equipment inventory’s usage will still depend on your business and its requirements, expectations, and needs. An equipment inventory can minimize the cost of equipment maintenance since it can help target issues and concerns right away. With the usage of an updated equipment inventory, you can assess which equipment are needed to be removed to the operations either for a short period of time or entirely. Is It Necessary for You to Create an Equipment Inventory? Inventory examples play a vital part in ensuring that proper processes of bookkeeping and regular maintenance can be observed. As an example, an equipment inventory aids the actual inventory processes followed by your business. It also improves the ability of entities to efficiently observe equipment and their parts. Actual inventory counts can also be more precise since there is a document that can record the equipment that have been used, are currently used, and are available to be used by the business. Listed below are a few of the reasons why it is important for any business who uses an equipment within their operations to have an equipment inventory. 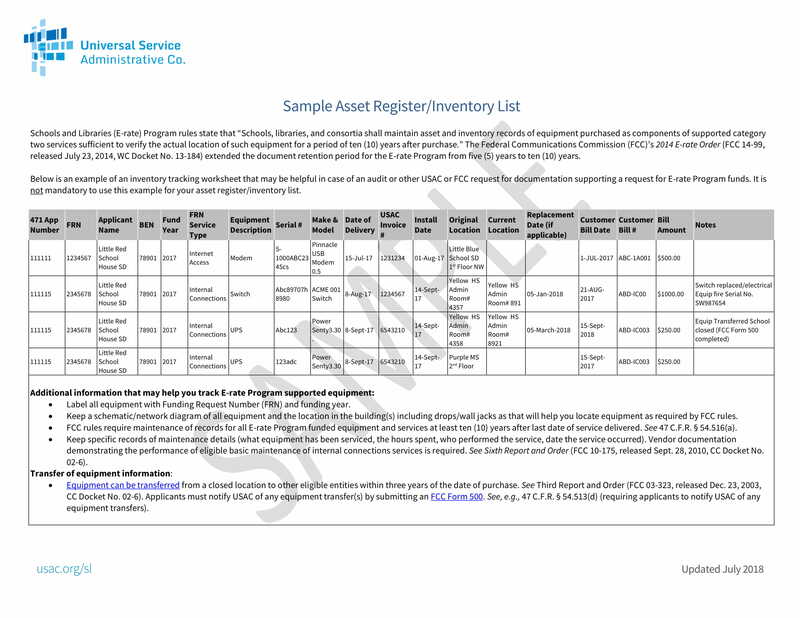 Creating an equipment inventory can help you have references whenever circumstances or instances occur. As an example, any lost or damaged equipment have their own records. With the help of an equipment inventory, your business can see the last person who touched or used the equipment. 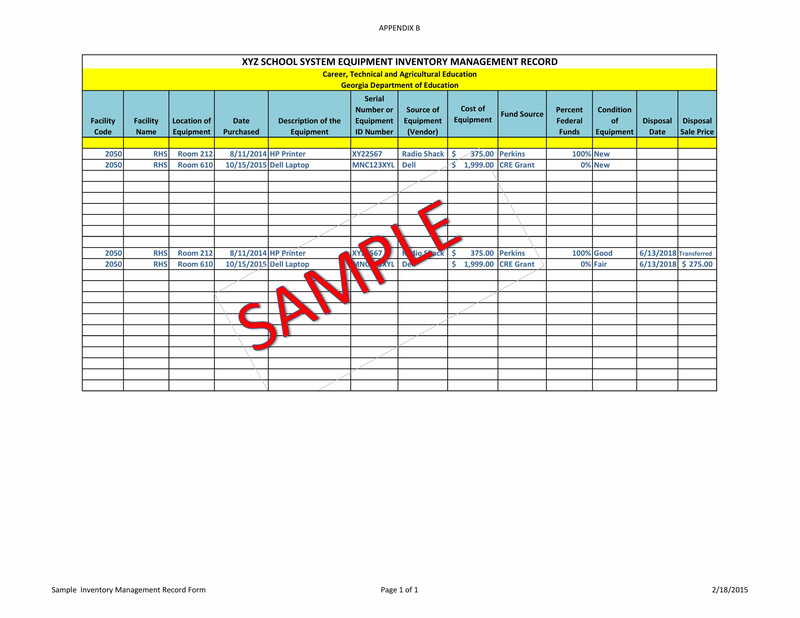 This document can also showcase whether particular maintenance activities have already been done by point persons tasked to look into the equipment or if any damage has already been reported prior to an incident. 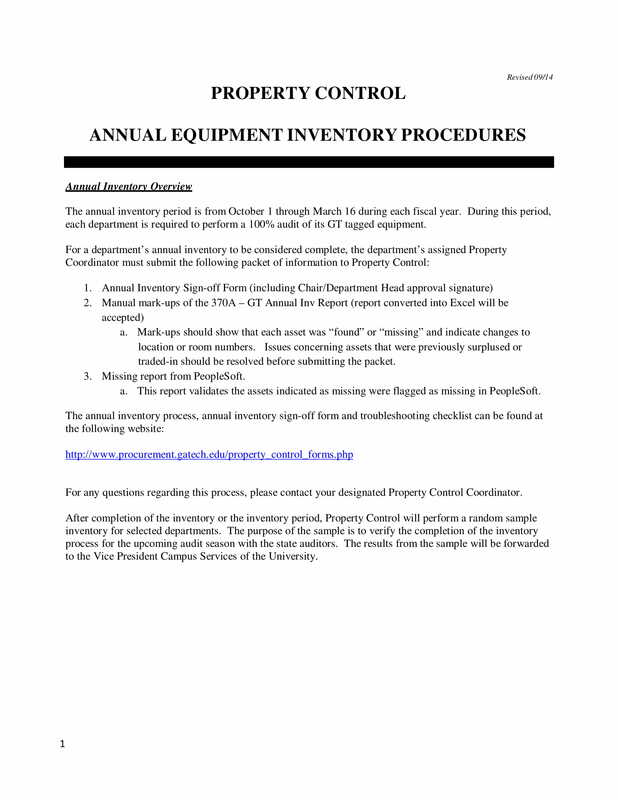 Coming up with an equipment inventory allows your business to set proper equipment standards. With the help of an equipment inventory, You can become more efficient not only with equipment maintenance but also with equipment usage. This can result to productivity, lesser equipment maintenance cost, and potential business savings. Making an equipment inventory helps all entities involved in the processes that deal with equipment become more organized. An equipment inventory gives an idea of the proper placement and arrangement of all equipment. 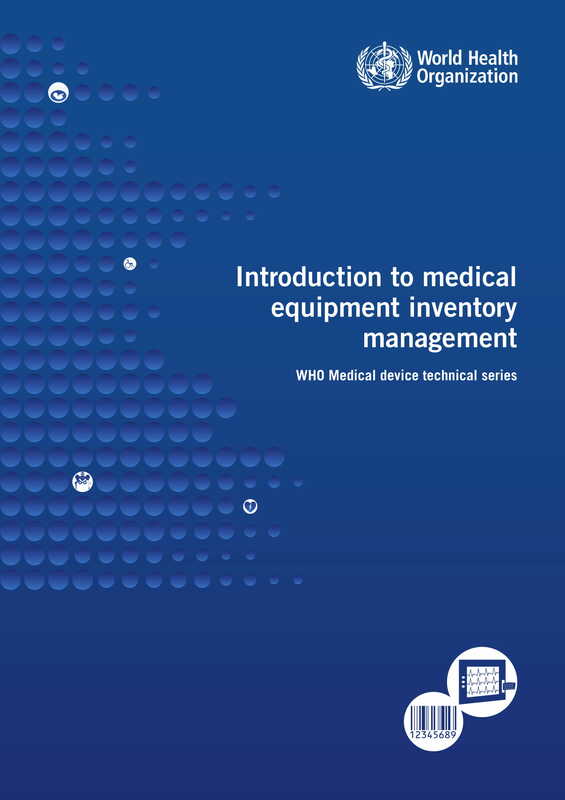 More so, any inquiries or questions pertaining to the equipment, its usage, and its maintenance can be seen in a single document, which is a great way to make procedures faster and more effective for everyone. Developing an equipment inventory can give you a presentation of your business’s equipment assets. If you will have an equipment inventory at hand, you can easily have a list of the detailed description of the equipment that can serve as helpful resources for your business undertakings and activities in particular time periods. Knowing how many equipment are there in your operations and those that are in stock can make you decide whether it is already time for new equipment acquisition. The scope of your business operations, the incorporation of the equipment’s usage in your work processes, the maintenance quality standards that you adhere to, and the kinds of equipment that you work with are only some of the factors that contribute to the development of an outstanding equipment inventory. Knowing how to deal with these factors and how to ensure that they are considered when making an equipment inventory can give you higher chances of successes in relation to having a highly functional document. Equipment maintenance, usage, and evaluation timeline. Set a timeline that will be followed by designated point persons when it comes to the activities that are needed to be done based on the equipment inventory content. Be reminded that an equipment inventory is not only a document that contains a list of all the equipment of the business. It can also be used to set all the processes that involve the equipment and its usages. This is the reason why time sensitivity is very important when planning, creating, and using an equipment inventory. Inventory checklist. 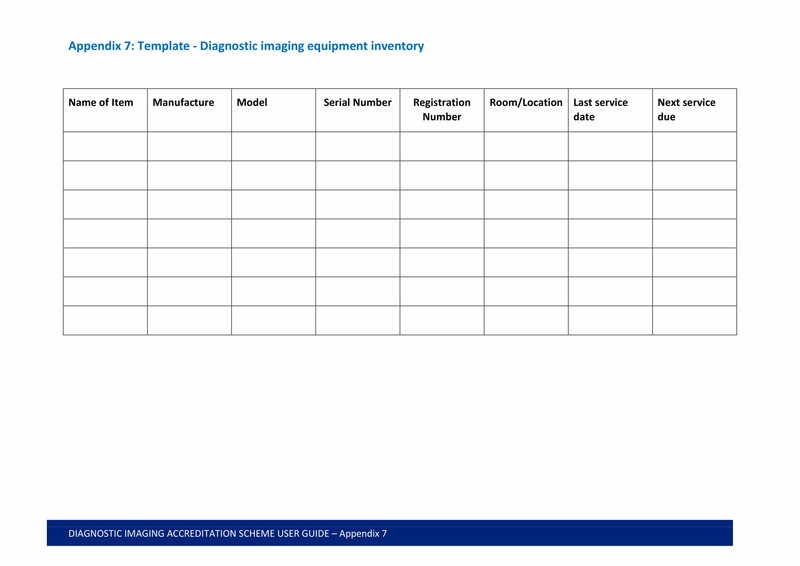 Create an inventory checklist that can help you identify all the items that you would like to record about an equipment. 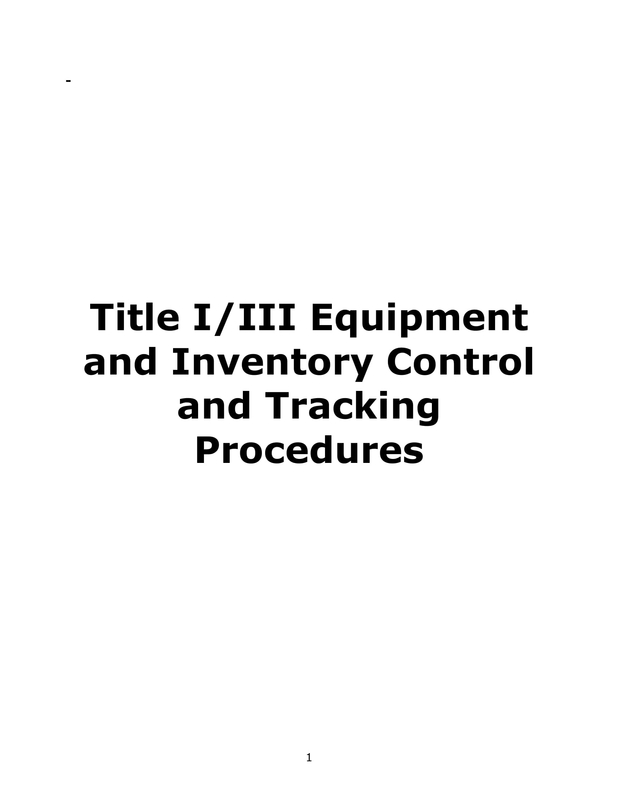 The process where the usage of an inventory checklist will be beneficial fully depends on the purpose that the equipment inventory would like to serve. Keep in mind that an inventory checklist can make the equipment inventory more presentable. You can create a general equipment inventory that can present all the details about the equipment and its functions or you can also have different kinds of equipment inventories that deal with specific equipment issues like maintenance, actual equipment listing, and equipment usage protocols. Workforce requirement. Make sure that the people who will be responsible for the equipment inventory are aware of the actual equipment that they will look into. Train these individuals so that they can have a full understanding of the nature of the equipment, the business processes where these equipment are used, the placement of the equipment in the workplace, and the necessary maintenance procedures that are needed to be done for the equipment in given time frames. Equipment inventory usage process guide. Your equipment inventory must have instructions on how to properly use it. This is also one of the reasons why it is important for an equipment inventory to be simple so that any reasonable individual who will be tasked to used it can have an easy time identifying the appropriate usage of the document. A store inventory keeps a store updated with the stocks of goods that it still has, the arrangement of all the goods displayed, and the number of items that are available in a particular time period. The same goes with how an equipment inventory works. The only difference is that an equipment inventory, as it suggests, is more focused on equipment rather than goods that can be sold. You have to be specific with the goals that you would like to achieve with the help of the equipment inventory. This can set the proper direction on how you can put together all the elements of the document and how you can use the equipment inventory for actual operations. Know how to arrange the list of equipment that you own. Do you want to have an equipment inventory per area? Or would you like the equipment inventory to have an itemized and chronological listing of all the equipment used within the entire business operations? Ensure that the equipment inventory that you will create can support the needs of the operations. Be particular with the things that you will include in the equipment inventory. There are different kinds of equipment details that can be specified in the document which includes the assigned location of the equipment, the value of the equipment, the storage of the equipment, and the like. The format of your equipment inventory should depend on how you will use the document. Even if there are a lot of existing templates out there, you still have to tweak the template that you will use so you can fully benefit from its usage. 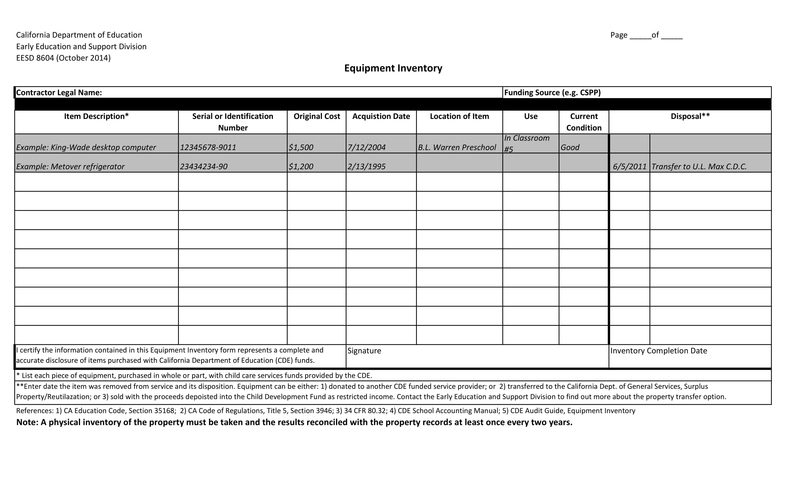 You have to be particular with the items that you want to see in your business’s equipment inventory so you can have a layout that can present the document’s content accordingly. Using references can help you a lot in terms of creating an equipment inventory that is the best fit for your business operations. 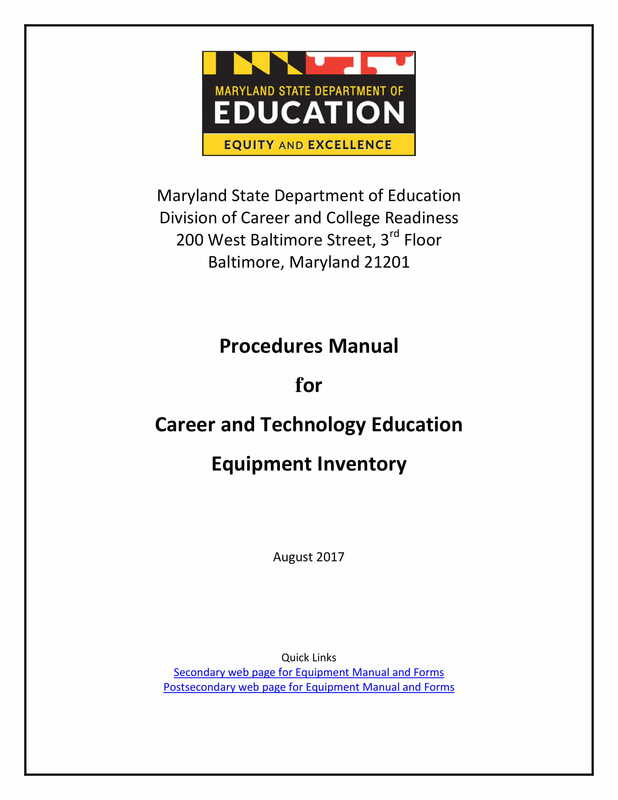 Make sure to check the downloadable examples that we have gathered and listed for you in this post so you can have several document guides if you plan to start making your own equipment inventory.